An important person’s birthday is coming up, it could be a significant other, a parent, a sibling, or a very close friend, and you are wracking your brains to find a birthday surprise idea. Take heart, it is not as hard as it seems. You don’t need to break the bank to come up with good surprise options either. There are a few steps to follow to make sure that you come up with an idea that will not only surprise, but will be remembered for a long time. 1. Is the celebrant a fan of a musical artist, or sports figure? In this case, the best surprise would be to arrange a face to face with the person he or she admires. Sometimes all it takes is a concert ticket or a ticket to a sports stadium. If that presents a challenge to your budget, you can consider purchasing a DVD or a small collectible item from the object of his or her admiration. And for those a bit more intrepid, some celebrities respond positively to requests for a special videotaped message, an autographed memento, or if you are lucky enough, even a personal appearance. That will surely be the mother of all surprises! 2. Is the celebrant dedicated to a sport, or hobby? A special flowering plant for a gardener, a new and innovative tool for a tinker, a special set of brushes for an aspiring painter, a special edition book for a bookworm, a chess book for a chess player – the list is endless. And if you want to ramp up your surprise, why not consider asking a famous painter, a chess Grand master, or a book author to grace the celebrations? You cannot be assured you will get a positive response, but you will never know until you ask. 3. Does the celebrant have a dream or wish that remain unfulfilled? Perhaps a visit to Vegas, Disneyland, or some other attraction? You can provide the ticket. Perhaps a fishing or hunting trip? That can be arranged as well. All it takes is for you to recognize what the celebrant wants. 4. Think of something personal you can give. It does not really matter if the item is expensive or not. Something like a photograph of the two of you many moons ago, inserted into a simple locket. You may also consider commissioning an artist to render a charcoal portrait of the celebrant in a flattering pose, or getting a baseball mitt you used back then mounted on a frame. Again the list is almost endless, and the only key is your knowledge of the intended recipient. One thing universally appreciated is the presence of a personal touch when choosing the best birthday surprise idea. 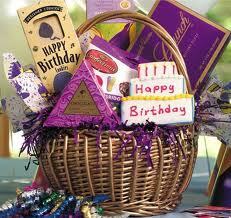 Use the preceding tips as a guide, and you and your birthday surprise will surely be a hit.